Order in the next 5 hours 37 minutes for delivery on Friday, April 26. 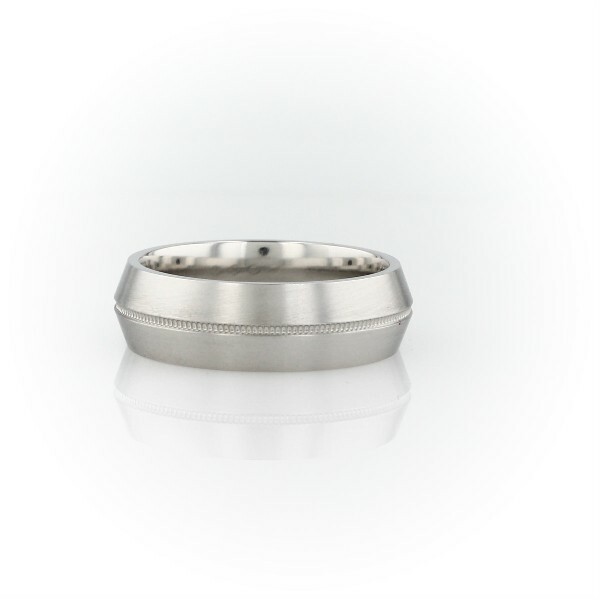 The sharp lines on the knife edge along the center this ring creates a dynamic look of light and shadow in enduring platinum, with classic milgrain décor for an intriguing finishing accent. Enhanced with Monique Lhuillier's signature engraving on the inside for a subtle touch of elegance.